Eyes: When I read in Allure Magazine that pink eyeshadow was a big trend for spring, I nearly jumped for joy. I’ve discovered the prettiest pale pink shadow; so pretty, in fact, that I chose it as my eye color for my wedding day last September! If you’re searching for a nice soft shadow that can be toned up or down, try Sephora Collection Colorful Eyeshadow Shimmer in Sweet Candy. Bonus points for using a pink applicator, too (I bought a pack of these at Sally Beauty Supply). Lips: I’m guessing exactly no one will be surprised to learn that Maybelline Baby Lips in Pink Punch has made it into my spring lip look rotation. 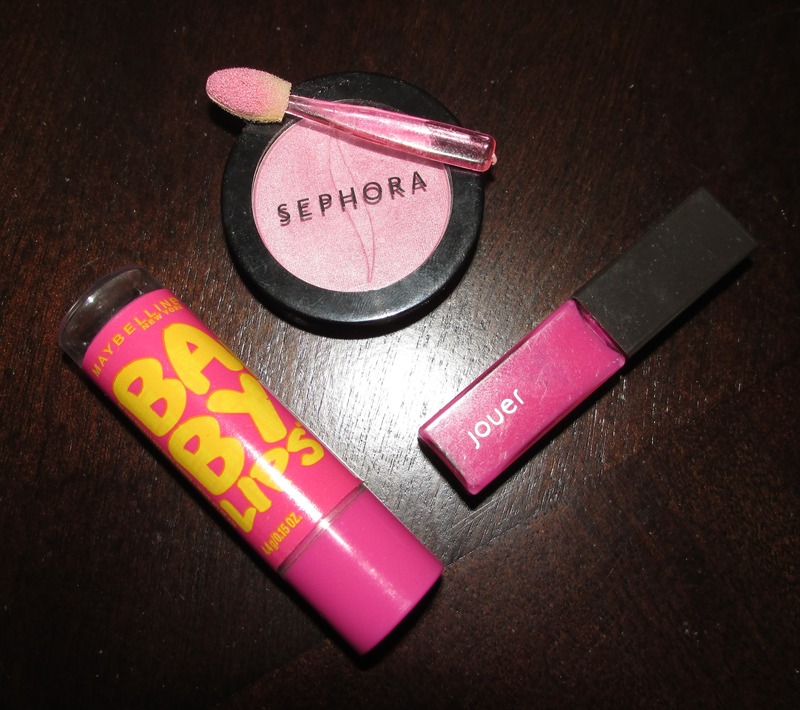 I’ve been alternating between that old favorite and another one – Jouer Lip Gloss in Birchbox Pink. It’s a great hot pink shade that goes on sheer but can be layered for more color. Nails: While I have an abundance of pink polishes in a variety of shades, right now I’m obsessed with Obsessive Compulsive Cosmetics Nail Polish in Anime (note: the brand’s matching lip tar is a great hot pink lip color if you’re wanting something bold!). A word of caution: a manicure this bright needs to be impeccable. Mine lasted 3 days before it started chipping, so be vigilant with the top coat! Extra Credit: When that manicure does start to chip, why not remove it with something equally cheery? 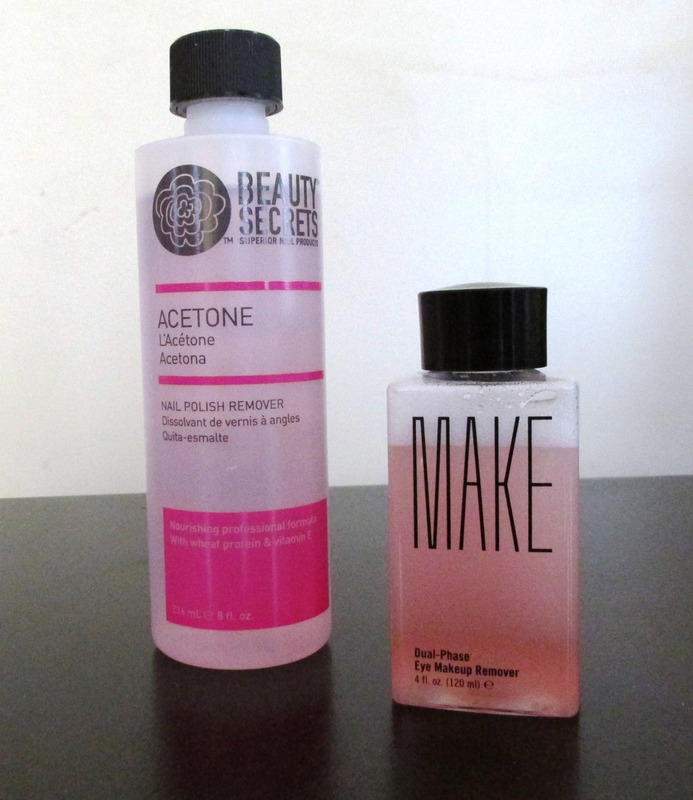 Beauty Secrets Acetone Nail Polish Remover is the gold (or pink) standard in removing stubborn polish. Similarly, I can’t do without my MAKE Dual-Phase Eye Makeup Remover. It never bothers my sensitive eyes and gets every last bit of makeup off my eyes, waterproof or otherwise.